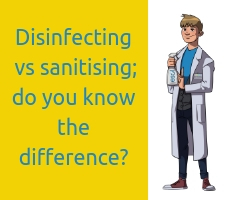 Disinfecting vs sanitising; Do you know the difference? With the words ‘disinfect’ and ‘sanitise’ becoming interchangeable over time, it is easy to get them confused or even assume they describe the same process. So is there a difference between sanitising and disinfecting? And if there is; are we putting the best practices into use? For example if you were to wipe down a surface with a hot wet cloth after something has been spilt or mop a muddy floor with hot water, this would remove the visible signs of anything having been there in the first place. Assuming that no cleaning products were added to the water, this process would only reduce the number of bacteria. It would not kill the all germs or viruses that may have been on the surface in the first place. Hot water generally needs to be above 60 degrees Celsius before it starts to kill off certain bacteria and viruses. What is the difference between disinfection and sanitisation? The products containing these, and other known chemicals, kill a wide range of micro-organisms. Many claiming to kill 99.999% of bacteria and viruses on the surfaces they are applied too. Disinfection or sanitisation is used in the majority of homes and many industries such as hospitals, vets, kitchens, medical centres, hotels, and dentists to ensure infection causing bacteria are eliminated. The standards for some businesses are set by the government to keep people healthy and protected. Why would I choose sanitiser and not disinfectant? With all this in mind, are we all using bacteria killing products responsibly? In your home or industry, do you think there is potential for a safer alternative with your cleaning products? There is a price to pay; with all the cleaning products available today, killing 99.999% bacteria has an adverse effect on humans and the environment. How do disinfectants and sanitisers affect the environment? One of the most common household disinfectants is bleach. This product is available in different strengths (depending on its intended use) and can be bought relatively cheaply compared to other disinfectants so it is easy to see why it is a popular choice. Unfortunately when bleach or chorine is disposed of it can have a negative effect on our water our soil, our wild life and even our air quality. Because these POP’s are highly resistant and do not biodegrade, they can travel long distances. POP’s are then absorbed into the fatty tissues and organs of aquatic animals where they have toxic effects. Can chlorine affect my air quality? A typical example of air pollution from chlorine or sodium hypochlorite is in an indoor swimming pool or hot tub being treated with this chemical. Toxic gases (by-products) are released from the chemical reaction between ammonia and chlorine. These gases can damage the lining of the lungs, which can lead to respiratory problems. Certainly around your home, the choice of products is down to you. What can you do to make this choice a smarter and more informed one? Check the ingredients; what ingredients are in my disinfectant? Cleaning products only have to list the main ingredient families in the product. This should include how much of each there is in the product in a series of weight ranges e.g. ‘Non-ionic surfactants < 5%’ Manufacturers also have to put a website address on the packaging of where you can get a list of each specific ingredient rather than just the families. There are over 40 different chemicals that could be categorised as a ‘Non-ionic surfactant’ which doesn’t make it easy to determine the products that are safe for you, your family or your business. Some more responsible cleaning products manufacturers list all their ingredients on their packaging. Does my disinfectant have BSEN 1276 approval or similar? BS EN 1276 is the European standard for the bactericidal activity of chemical disinfectants as proof of effective infection control against harmful micro-organisms such as MRSA, Salmonella, E.Coli, Flu Virus (H1N1) and Pseudomonas Aeruginosa. In order to pass this standard, products have been tested by an independent laboratory and must prove a bacteria kill rate of 99.999% within 5 minutes. Make sure that the product itself is sustainable and safe to return to the environment. 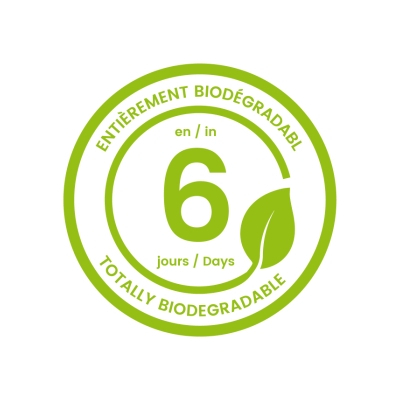 This logo is widely used and shows that the product is biodegradable with the number of days for actual biodegrading in the centre. Check to see if the packaging states whether or not it is recyclable. This may be in the form of words or it could also be stated with a symbol. 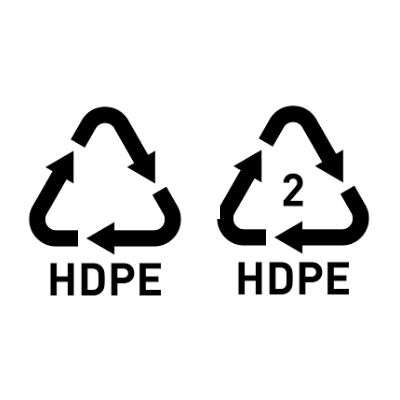 Where you see the HDPE symbol (opposite) indicates that the packaging is recyclable or, in the case where there is a number in the centre, the packaging made from previously recycled plastic and can be recycled again. We all need to be able to control the spread of infectious disease but this should not come along saddled with ill effects and a multitude of dangers. Let’s try to keep ourselves, our families and the environment clean, healthy and safe.